I live in Buenos Aires. Yes, I know that if you’ve been reading this site for any time now, you probably know a bit about me. But, to put it mildly, a lot can change in almost two years (and boy, has it ever). I’ve gone from being a complete newcomer, who didn’t speak a word of Spanish to a seasoned veteran, who doesn’t speak nearly as much Spanish as he thought he would! 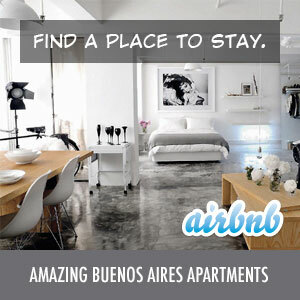 I moved to Buenos Aires from New York City in August 2008. After 14+ years in NYC, I was burnt out and needed a change of scenery. Buenos Aires was attractive because it was similar to New York in many ways – large city, good restaurants and nightlife, lots of activity, etc. However, it was about one-third of the cost which was very attractive. I planned to be here for a year or two, living on some savings and doing consulting work and technology projects for clients in the States. I figured that the worst that could happen was that I would have to go back to the States after a year or so and get a full-time job. In the meantime, I would have learned another language and experienced a different culture. When I arrived, I immediately explored the city, blogged about my experiences, started Spanish lessons and set out to meet other expats. Over the course of about 18 months, I found my way around the city, wrote a bunch of blog posts that clearly showed my naivety here, picked up enough Spanish to get by and made a lot of great friends. I managed to do some traveling to Iguazu, Ushuaia, El Calafate, and Oktoberfest in Cordoba. I lived on the beach in Florianopolis, Brazil for two months (amazing). I ended some business relationships and started a few new projects that I had been meaning to work on for years. I got more involved in Buenos Aires real estate. I ended some personal relationships and started others. All in all, I had a great time and it was an amazing experience. In October 2009 however, it looked like my time in Buenos Aires was drawing to a close. I had a number of business matters that required me to be back in the States. A couple of projects in Buenos Aires had not panned out as I had hoped, and clients in the States were hoping that I would be closer to NYC. Plus, I missed snowboarding a lot and could live rent-free in Killington, Vermont for the rest of the ski season. So, I made plans to return to the States just before Christmas. When they say “life is full of surprises” they certainly mean it. Shortly before I left for the States, I met someone who became very special to me. We discussed how to continue our relationship long distance, both knowing that those things rarely work out and trying to plan ways to spend time back and forth between the States and Argentina. I left for the States in December planning that she would come out in February or March. This is where Buenos Aires 2.0 begins. I’m going to save a lot of the details for some future posts, but suffice it to say that I decided to move back to Buenos Aires full-time. This time though, I’m not looking at it from a short-term expat’s perspective, but rather as someone who will be here for the long-term. I already spent three weeks here in February and have been here for four weeks so far. I’m heading back to the States shortly to take care of some final things and do some packing, but I’ll be a full-time porteño in July! As part of the Buenos Aires 2.0 story, I now have a DNI, rentista visa, 2-year apartment lease with guarantia, car and a bit of a different view on things. Plus I have a lot more experience (though still a poor grasp of the Spanish language). I hope you enjoy the new blog posts and I look forward to your comments and meeting more great people!